A month or two ago, I was listening to a podcast interview with a marriage counselor, and she said something I can’t stop thinking about. While researching her latest book, she surveyed over 70 married couples and asked if they could name another couple that “inspired” them. 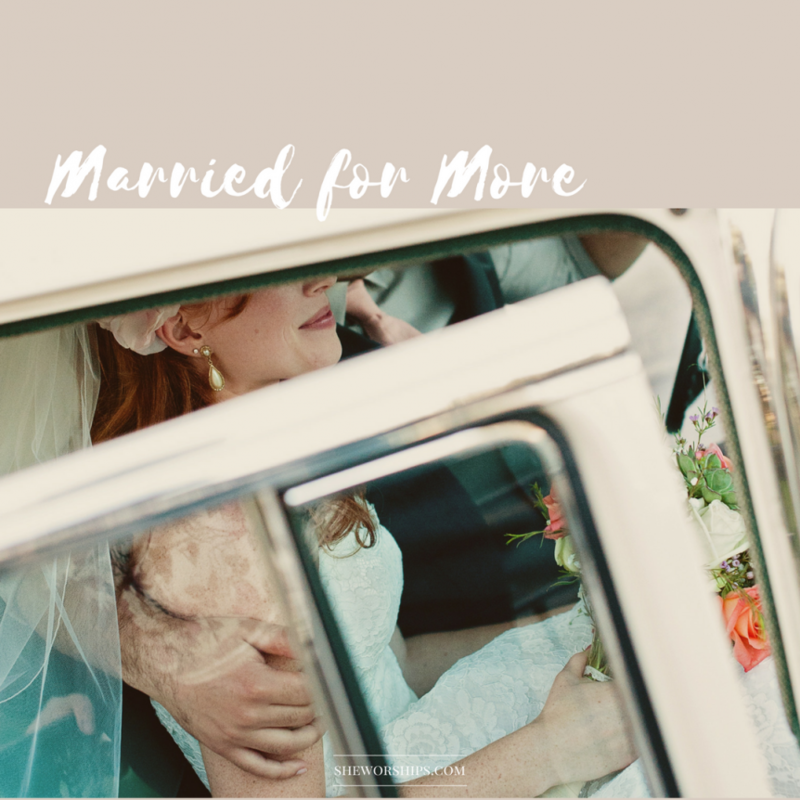 As I listened to her speculate about why so few people could name a single couple that inspired them, I stopped and asked myself the same question. Which couples inspire me? I’ll admit it took me a second, because the word “inspire” has a particular meaning to me. I know plenty of couples with great marriages, or healthy marriages. I know plenty of couples I can learn from. But inspiring? I wasn’t so sure. After a moment or two, I was thankful to think of multiple couples in our lives who inspire us. But that led me to a second question: what makes them different? What sets apart these “inspiring” couples from the couples I respect or even admire? 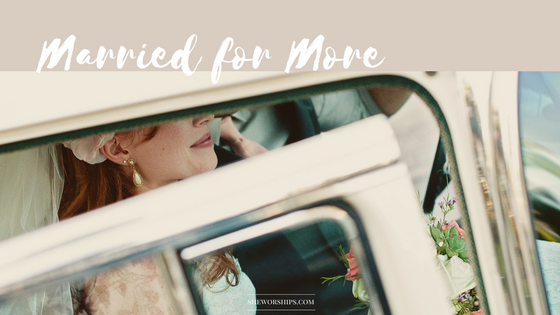 What about their marriage inspires me to redefine marriage beyond the standard expectations? They had a vision bigger than themselves. The couples that inspire me are the ones who haven’t settled into the status quo. They don’t let the cultural current take them wherever it goes. And their vision for family is a whole lot bigger than sending their kids to the best schools. These couples take leaps of faith, go on holy adventures, and they bring their kids along for the ride. I think that last part is one of the things that has awed me most. 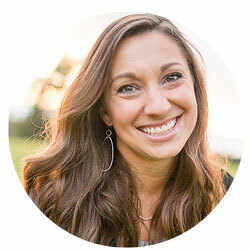 Their kids have never been an obstacle to their crazy God dreams–instead, their kids were invited to experience first hand the journey of walking by faith. This vision is, I think, deeply biblical. Ever since God first called Abraham, His mission on earth has included a family. Israel was, after all, not just a tribe but an extended set of relatives. And Israel made the same mistake that we often make today: they thought the story was about them and their particular family. Their mentality became tribal–they were more concerned with those inside the tribe than those outside the tribe. This mentality was so entrenched that even after Jesus came on the scene and blew up those boundaries lines, the Jews still struggled to grasp it. In other words, the mission was never just about them and their family. It was about God’s mission to the world. Thousands of years later, God continues to replace our tribal mentality with a missional one. The mission of God was never just about our individual families, and the good news of Jesus Christ is not a prosperity gospel promising sheltered children who have more opportunities than other children. Our families, like our church, are meant to be a blessing to the world. So that’s my challenge to you: the next time you have a date night with your spouse, or even just a little down time to talk and debrief, set aside some time to dream. Begin to pray about vision. Long term, how can your family be on mission for God? How can your family be a blessing and a light in your neighborhood, community, and world? What would that look like in this particular season, but also ten years from now? I think these are the questions Jesus asks of us. And if more of us took these questions seriously, I have a hunch our marriages would be a lot more “inspiring” too. Once again – you nailed it! Such an important message here!!!! My husband and I have been married 33 years and have raised 5. Regrettably, we didn’t get this at the outset as we began our family but came to it after a few years in. Thanks to God’s abundant grace and good work. I trust our kids would now testify that they knew they were not the center but God and His purposes were and still are. What a timely topic! Someone asked me the other day to name a couple that I looked up to and I had this same response. I could think of a few but then I was wondering, “Why is this such a difficult question to answer? !” You’re so right– It’s couples who have a vision bigger than themselves and don’t stay “tribal” focused. I never thought about the Israelites that way but it makes so much sense. Thank you so much for this post. It makes me look at my marriage and want to ask God for a vision for our family. A friend sent me this and I’m so thankful! What a great challenge to ride to! Loved this post!! My hubby and I have been talking about this same thing. We are so thankful for many couples who inspire is to live an adventure with our kiddos!! God bless you for this piece. It is a lovely one. I’m not married yet but the couple that inspire me are the ones who labor in God’s vineyard together, working side by side against all odds all to the glory of God. That’s the kind of marriage I look forward to. Not one based on financial wealth but one full of the wealth of God’s glory. Everything else will fall in place.